With Van Orly Airport (ORY), never miss an appointment or a match! Our live train tracking allows us to make sure you arrive at the station! In addition to comfort, the Van Orly Airport vehicles (ORY) offers a database option pannel and on demand according to your tastes and kindness to make you the most pleasant way possible, to the extent possible. Unsure of your on board our vehicles raffraichissantes drinks, confectionery and snacks, can connect your phone via Bluetooth to our vehicle so you can enjoy your music in the best quality and you will even disposotion USB ports in order to plug in and to recharge your electronic devices (smartphones, tablets). Personal and private driver for each of my transport in Paris or in urban areas, it is possible? Yes, today! With Van Orly Airport (ORY), your driver is available today and now through our website and our simulator online quote that helps you get a fixed, exact price you can pay online to earn more time. The rate does not change! 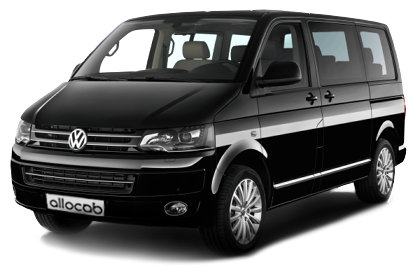 Our vehicles Van Orly Airport (ORY) can easily accommodate 8 people through our roomy space and up to 15 bags and / or storable bags. Do not miss any of your appointments, please visit our website and book your chauffeur from only 15 euros in a few clicks. Our drivers trained to your satisfaction will listen to you and to serve you according to your needs. Just ask for your desires come to life. Raffraichissantes beverages, confectionery, baby seat, everything is on board our van Orly Airport (ORY)!